Take the stress out of planning the next family holiday with this easy guide to our top 10 family friendly campgrounds. These easy-to-get-to campgrounds have a great range of facilities, including toilets and shower blocks, for a comfy stay. There’s also plenty of outdoor activities to keep the kids entertained. Whether you’re dreaming of a coastal escape, country getaway or something close to Sydney, there’s a campground to suit you. Trial Bay Gaol campground is right by the beach and perfect for a family camping holiday. Bring your caravan, motorhome or tent for a weekend of swimming, fishing and fun. The Basin campground in Ku-ring-gai Chase National Park is one of Sydney's most popular beach camping spots. A great family camping spot in Sydney, Bents Basin campground offers sites for tents, trailer and caravans in a scenic location by the water – go fishing and kayaking. 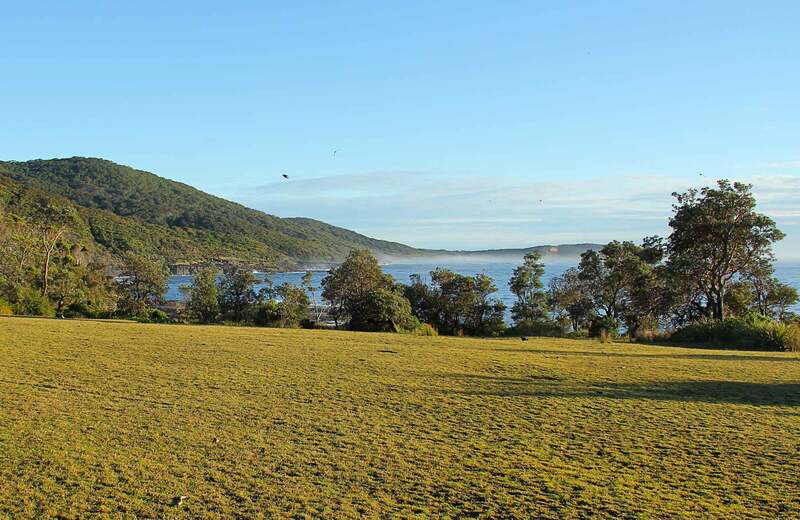 Enjoy a weekend away camping at Cattai National Park along the Hawkesbury River. Go walking, camping, canoeing and bike riding before cooking up a barbecue feast. Pitch your tent in unspoilt bushland near to Birdie Beach. It’s a popular campground, with walking, fishing, whale watching and surfing opportunities nearby. Woody Head campground is one of the best places for a weekend getaway camping by the beach. Bring your caravan, camper trailer or tent and don’t forget your fishing rod. The beachside campground at Diamond Head is one of the most popular places to stay in Crowdy Bay National Park. It includes caravan sites as well as picnic amenities. Bungonia campground combines a beautiful bushland setting with excellent camping facilities. From here, you can enjoy hiking, caving, or bushwalking.